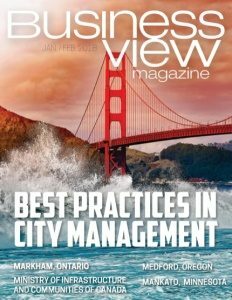 Business View Magazine interviews Aldo DiCarlo, Mayor of Amherstburg, Ontario and CAO John Miceli, for our focus on Sustainability in Canadian Cities. Cue the applause! After years of begging, pleading, wishing from residents and businesses, the Town of Amherstburg, Ontario recently announced fiber high-speed connectivity is coming to the entire town -rural properties included! Thanks to an investment “north of $12 million” from Bell Canada, fiber optic broadband internet is expected to be available to every Amherstburg home within the next two years. Business View Magazine recently spoke about this exciting news and other developments with Amherstburg Mayor, Aldo DiCarlo, and CAO, John Miceli – two leaders known for galvanizing initiatives in this ambitious southern Ontario municipality. The following is an edited transcript of that conversation. BVM: Congratulations on high-speed coming to Amherstburg! Would you like to share the story? 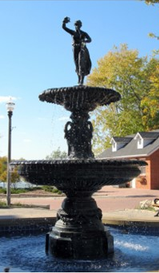 BVM: More good news; we also hear that last year was a banner year for tourism in Amherstburg? BVM: Will there be residential development in that area? Miceli: “We’re going through a community improvement plan; establishing urban design standards to facilitate the preservation of our downtown core in the heritage fashion, with incentives provided for façade improvements. And, we’d like to get a hotel, which will work in with our plan for the waterfront, transient marina, and the downtown. We’re also embarking on a seniors’ master plan. Currently, 20 percent of our population is seniors. That’s expected to jump to 25 percent in the next four years. We want to make sure we’re a welcoming community, that’s not only walkable in our downtown core, but also offering programming and amenities for seniors. BVM: How are you investing in the future of the business community? Miceli: “As part of our strategic plan, we have a pillar for marketing the town as a destination for young families and seniors. We’re making investments to support that through our tourism department. We’re making investments through economic development and targeting growth for our business community. Working out this deal for fiber connectivity is a really positive sign for Amherstburg. We are also getting a new state-of-the-art, dual-stream high school. 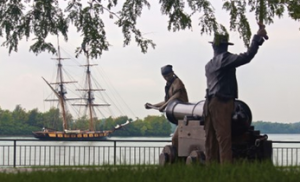 BVM: Anything else you’d like to add about the importance of high-speed communication for Amherstburg? DiCarlo: “People will communicate with you on all social formats. We have all those channels, plus the new website. Now, we’ll be the very first municipality in our region to boast 100 percent coverage of high-speed internet. My catch phrase is ‘We’re not just doing fiber to the home; we’re doing fiber to the farm.’ That’s what’s going to set us apart. You can find fiber to the home all over the place, but it’s always in these concentrated, congested areas of municipalities that are obviously using money for businesses. The problem for the average Ontario municipality is with the large rural areas – and we all have them. That’s where our focus is, to get those people the communication they need. 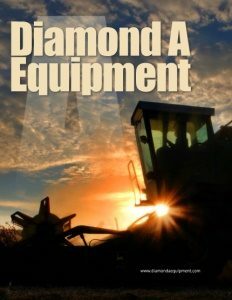 Farmers, today, are doing business all over the world, and with that comes the need for communication. What we vowed was, moving forward, we would not forget about them. “In my day job as an electronics engineer at the University of Windsor, I’ve had the luxury of high-speed internet since the 1990s. One of the things that drove me when I became Mayor was to get it into town. 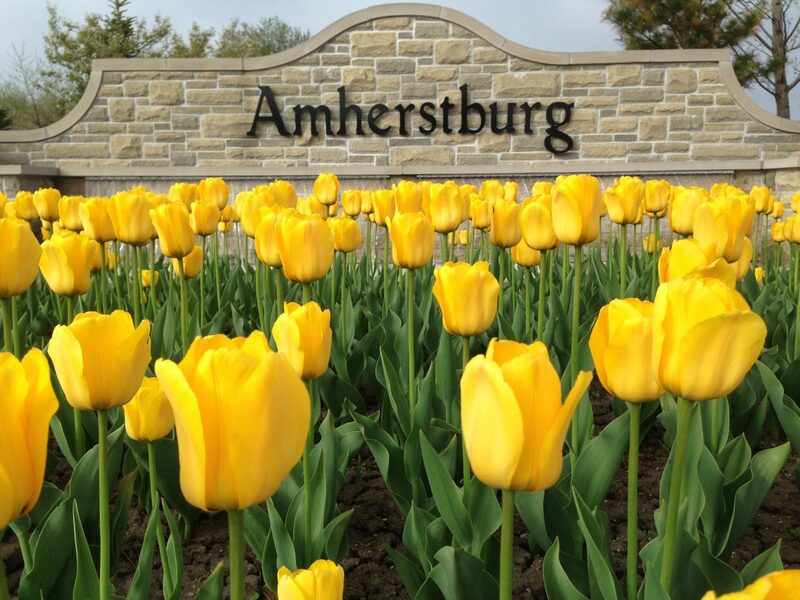 Technology-wise, Amherstburg is a perfect example of a mixed urban/rural Ontario municipality. The urban part of town is not done too bad, but the suburban and rural parts have essentially nothing – some DSL and microwave that is extremely unreliable. Our CAO took it to a whole new level. We went public and said we couldn’t get anybody to do it. Then John went ahead and developed a model for the town to do it, itself, if no one else would. Not only are we getting it done now, but we’ve partnered with Bell Canada to make it reality in 18 to 24 months. Amazing!